Having a positive digital footprint is important for anyone old enough to be online. Young people will eventually find themselves applying for colleges, jobs, and other post-secondary schooling opportunities. One way for your middle and high school students to uphold a positive internet presence is by making a website. 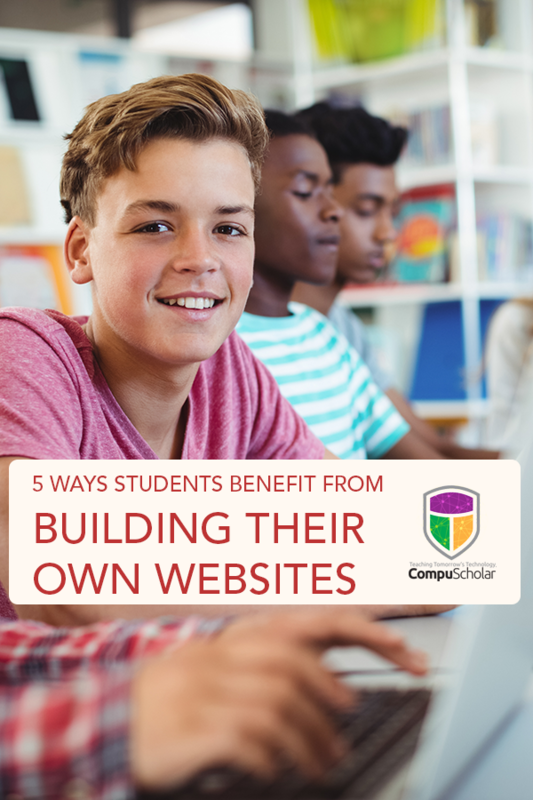 Here are five huge benefits students receive from the process of bulding a website. Sharing a list of one‘s achievements on a sheet of paper created from a Microsoft Word template is so 20th-century. As your students fight to stake their claim on online real estate, it‘s important to show them that the web can be a place to share their best face. By showcasing academic accolades, extra-curricular activities, and volunteerism in a digital medium, potential schools and employers can see a student‘s technical expertise and creativity. Displaying work online makes it more tangible—so much better than just stating it in a phrase on a hard copy resume. In addition to a resume, a portfolio is a place to share actual evidence of work completed. Building a portfolio is the first step to building a brand. Students should start building their own personal brand early. Buying a domain with one‘s first and last name, creating a logo, or even just sharing the best version of oneself online is an incredible way to start advertising for future schools and employers. Encourage your students to search themselves online often. What is the story that those who search them will see? Every article, image, and web site that comes up should present the best version of themselves. This starts with social media and their own personal website. Having conversations about what their brand will be and how your students want to showcase themselves online are important discussions to have before creating their website. High school students may start to make connections through career academies, part-time jobs, and mentors. Having a website to share with potential colleagues can be incredibly valuable in establishing a virtual and professional presence. Even if students aren‘t sharing their website, new contacts may search students online to check out their background and digital presence. Websites can be linked in all professional and personal social media. Students should start sharing their professional portfolio broadly with anyone they may want to work with in the future. Building a website is not merely about learning technological skills and computer science. Web design is full of opportunities to be creative, focus on critical thinking, and solve problems. All of these skills are valuable in multiple career fields and walks of life. 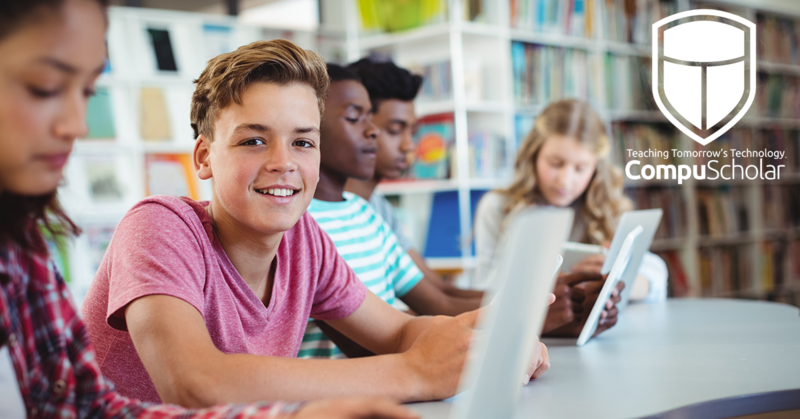 The benefits of creating a website for students far exceed the obvious technical skills students have to learn in order to build their first digital masterpiece. In fact, creating a website can be the first step in maintaining a powerful and positive online presence for your students. 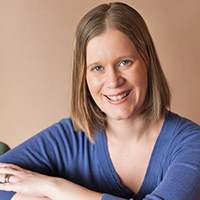 Jen Schneider is an educator, learner, and writer in the Omaha, Nebraska area. Jen earned her B.A. in Journalism and Political Science and M.S. in Curriculum & Instruction. She is a middle school Language Arts teacher and PhD student at University of Nebraska-Lincoln studying innovative schools and instructional technology. Jen is passionate about teaching educators and students how to advance learning by using technology as a tool in the classroom. She believes in innovative instruction and learning goals driven by student learning, especially by using Genius Hour and project-based learning.